One of the best things to discover when you visit Korea is their amazing dessert especially the shaved iced or commonly known as bingsu. Similar to our own ABC, but on a whole new level, I just can't stop myself from getting obsessed with them! 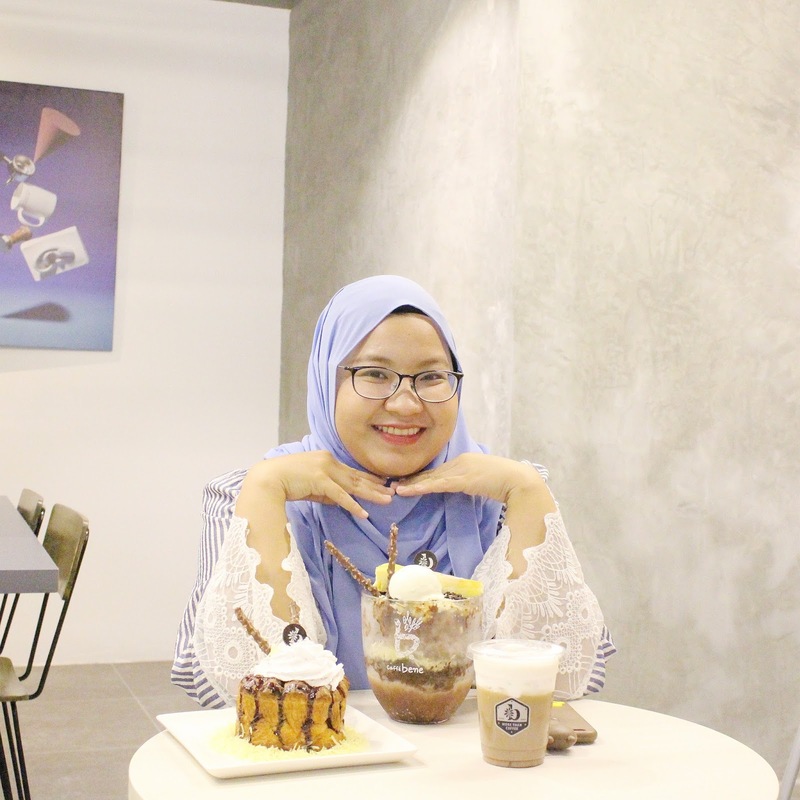 A few years back, it was really hard to try really nice Korean bingsu here (even in KL) but since the booming of Hallyu wave in Malaysia, we are lucky that we can have them now without having to fly directly to the land of kimchi. 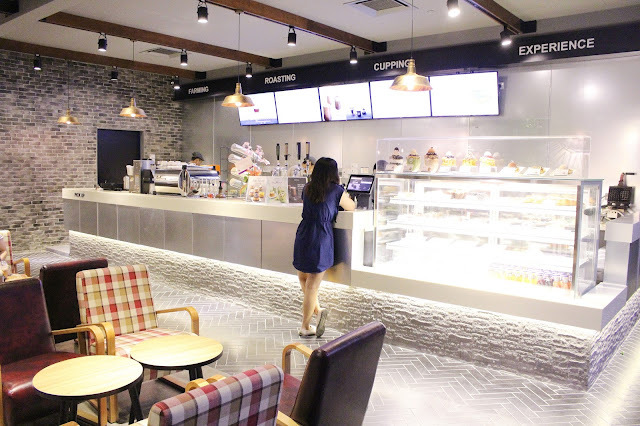 One of my go-to Korean dessert places is Caffe Bene, which I am pretty sure a lot of you have already known. The only downside? Their earlier venues used to be slightly further away from me. 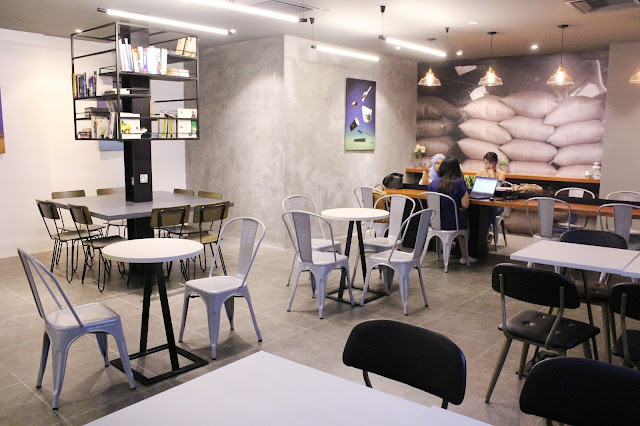 But now, I don't have to travel that far away anymore because thankfully they are now opened in Mid Valley Megamall which is just less than ten minutes away from my office! 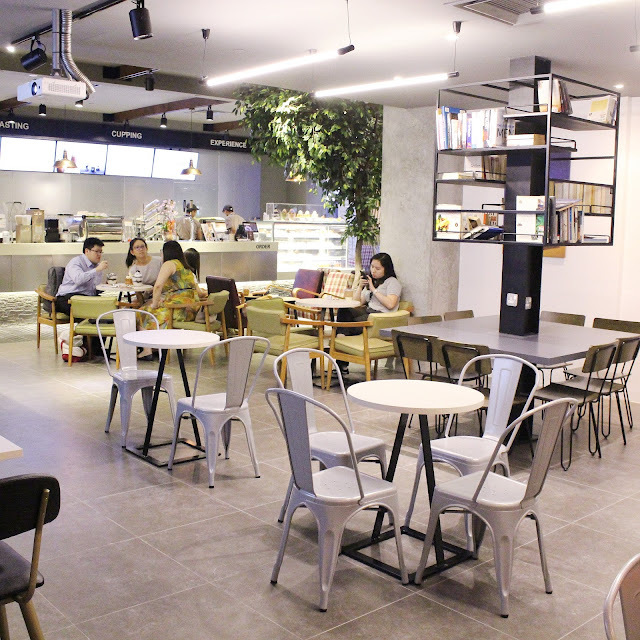 I managed to check out their outlet with my colleagues Eros not long after it started to open to the public but only now I get the time to sit down and share my thoughts about the space. First of all, I noticed that compared to their previous outlets, the design for this particular branch is slightly different than usual. It has a more urban, industrial and sleek feel to it, which is actually very suitable for the working environment in Mid Valley since they have a lot of offices nearby. 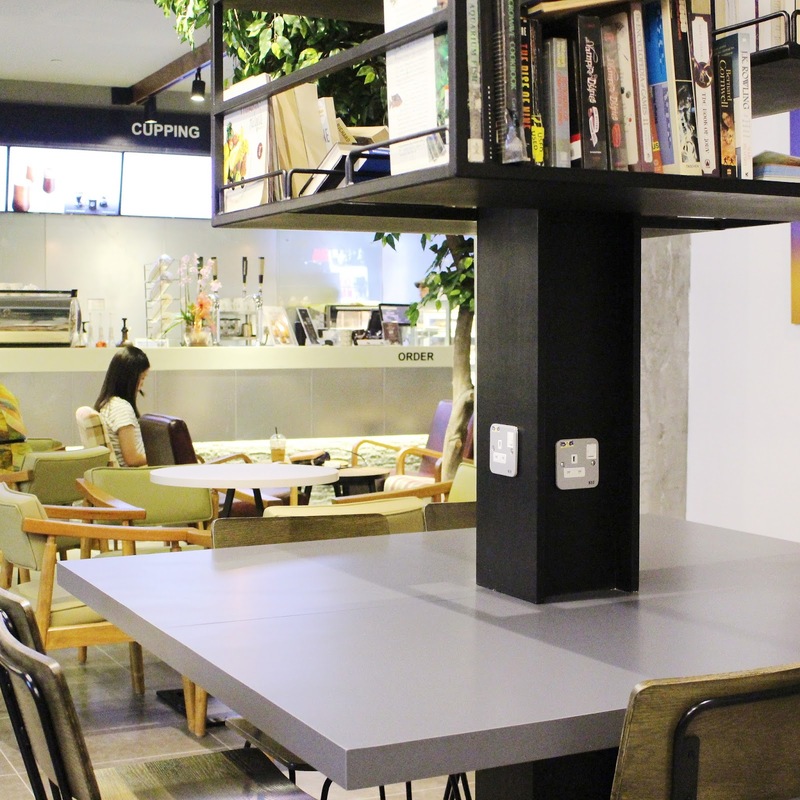 Not just the normal coffee table, they also provided a long table with electrical plug installation for customers who wish to spend some time, working on their laptop there. 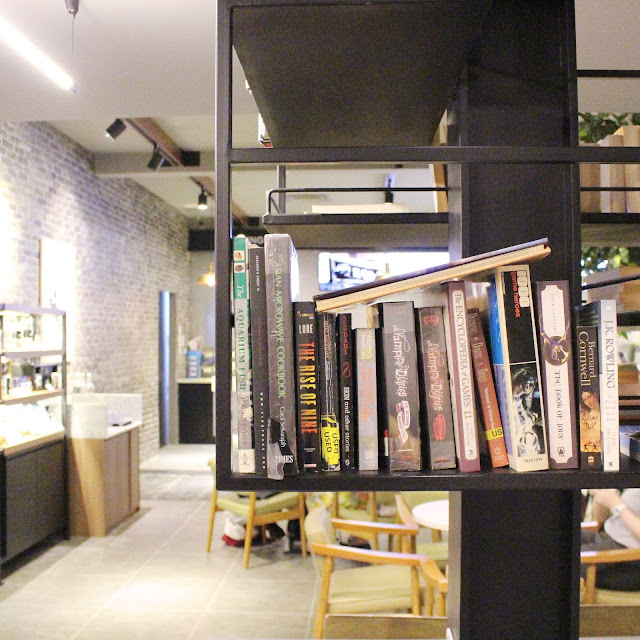 There is a mini library as well, which is a nice addition especially for those who are chilling trying to pass time (the cafe is located on the same floor as the GSC so this place is a great option if you just want to sit and wait for the movie to start). 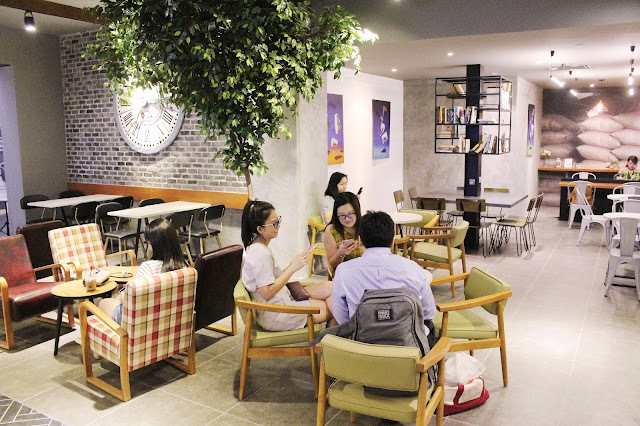 Another interesting thing to note, this branch also is the first that starts to sell official Caffe Bene merchandise such as tumblers and also their instant coffee and ohhh, I approve their selection of Korean songs in the playlist. LOL! 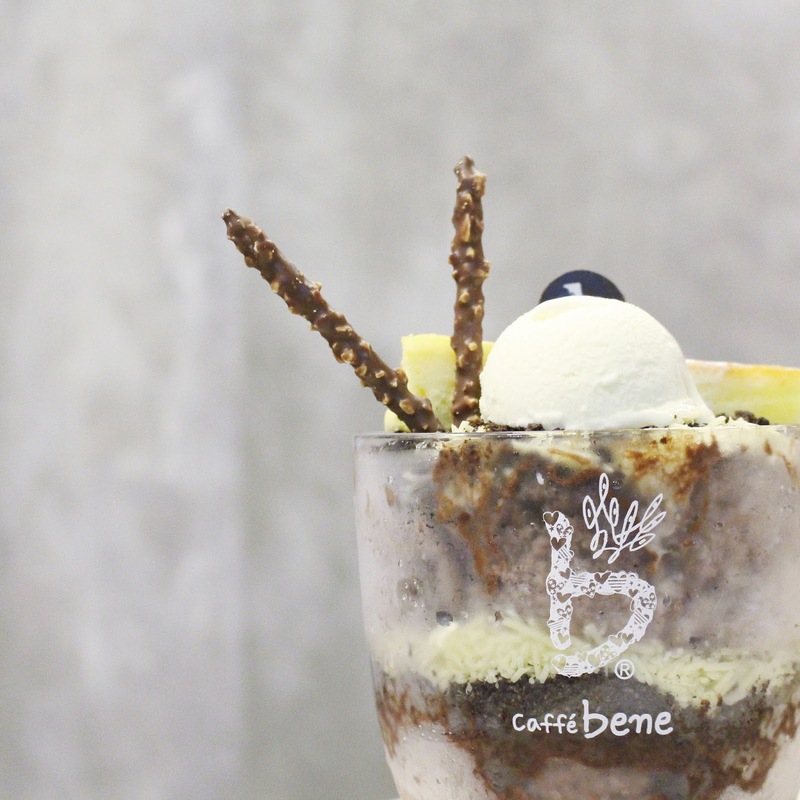 Choco Cheese Bingsu | This bingsu was such a treat! The mixture of chocolate and shredded cheese compliments each other pretty well. 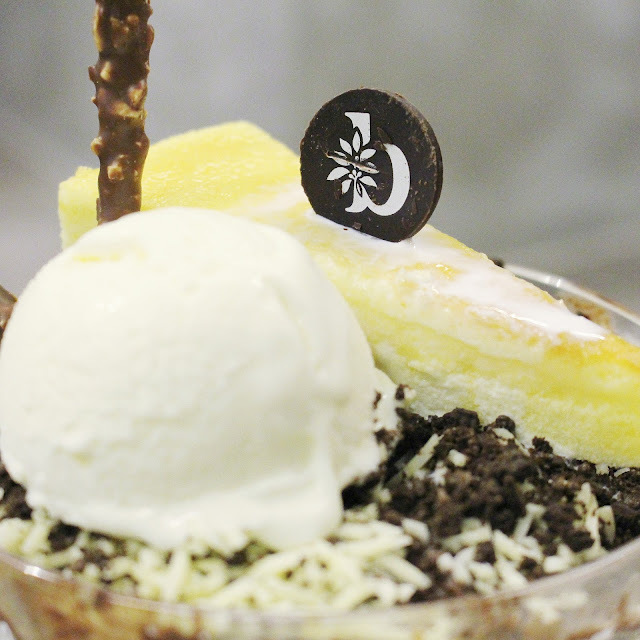 A slice of cheesecake, cream cheese gelato and one almond peppero is also added as toppings so it was a total choco cheese party in my mouth. Choco Cheese Bene Pastry | It tasted as sinful as it looks! This was probably my favourite out of the three on the menu. 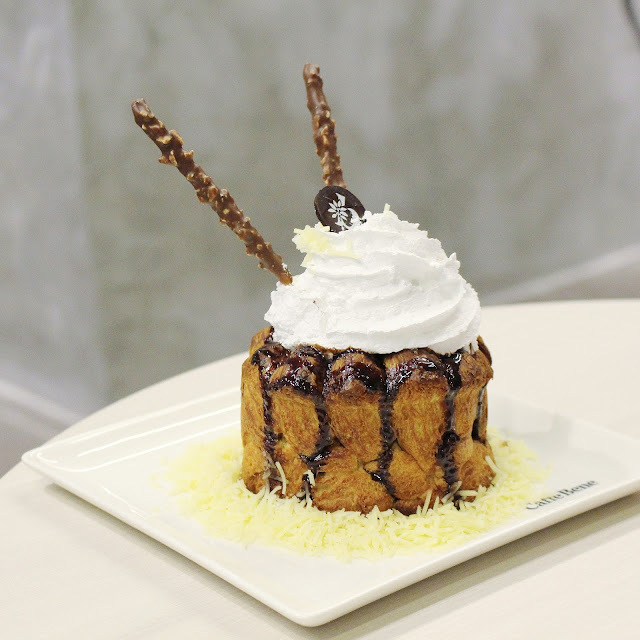 The chocolate filled pastry, tasted so good with the whipped cream on top and grated cheese on top. 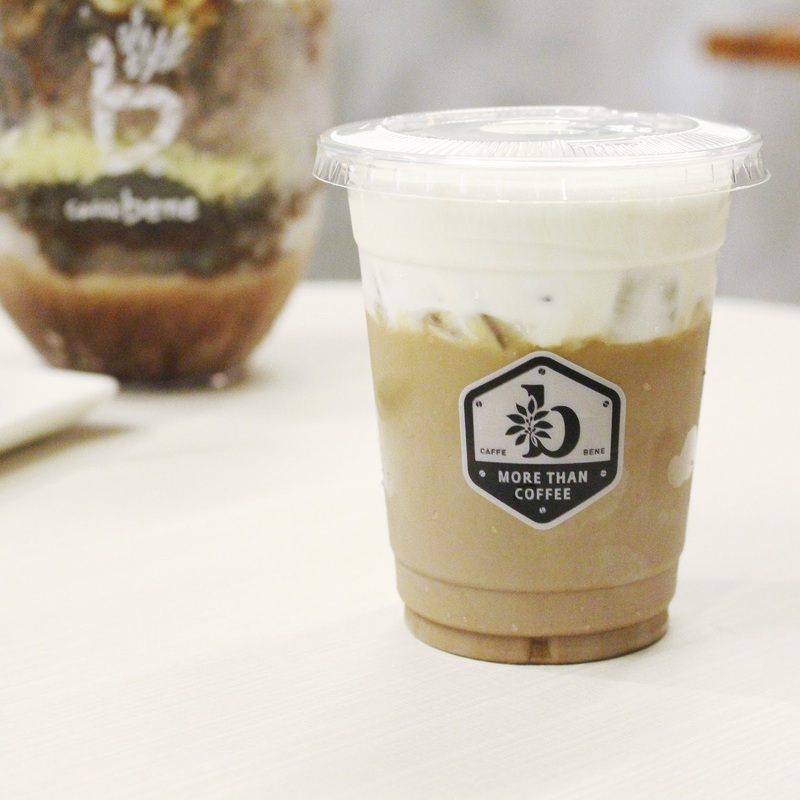 Choco Cheese Mocha | It is pretty similar to a lot of cheese drinks out there. I kinda like the sweet and saltiness balance in it but I definitely need to wash off my mouth with a plain water afterwards. Since the new year is here, I wonder what will be featured in their new series? 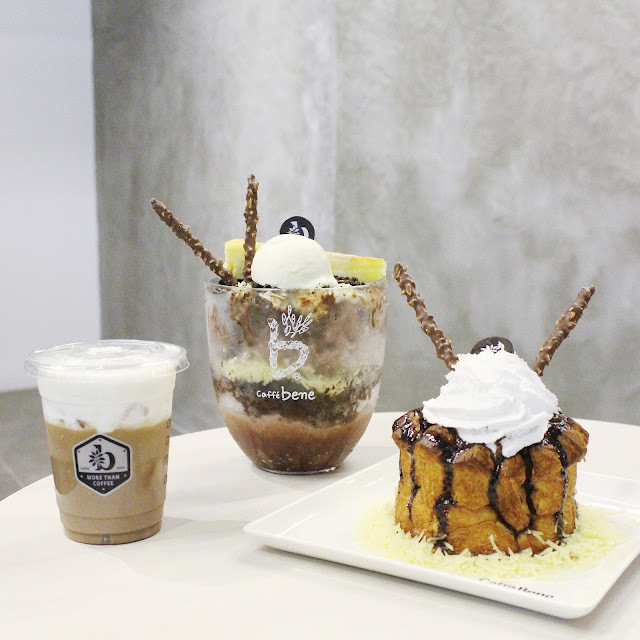 Personally, I love basic bingsu flavour, like plain milk yumsss. What about you? 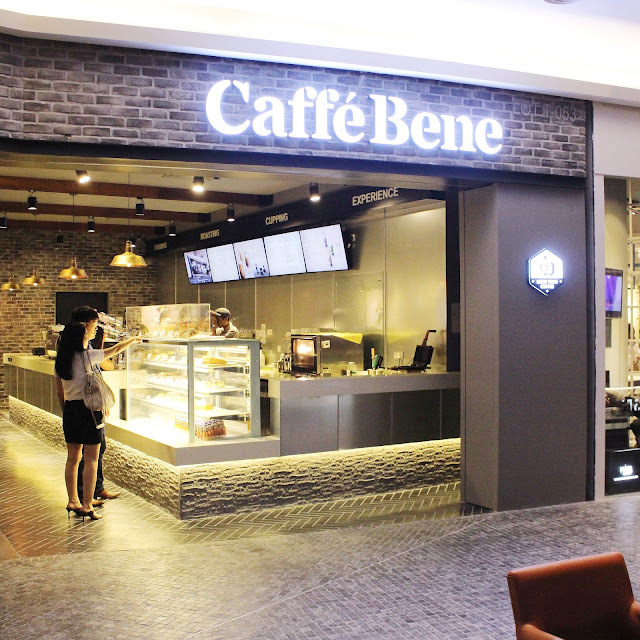 oiii tersinggah sini hehe OMG that pastry mmg alluring!!! walaupon akk xminat choc tp it looks like dia over lah choco dia still acceptable to my tastebuds! 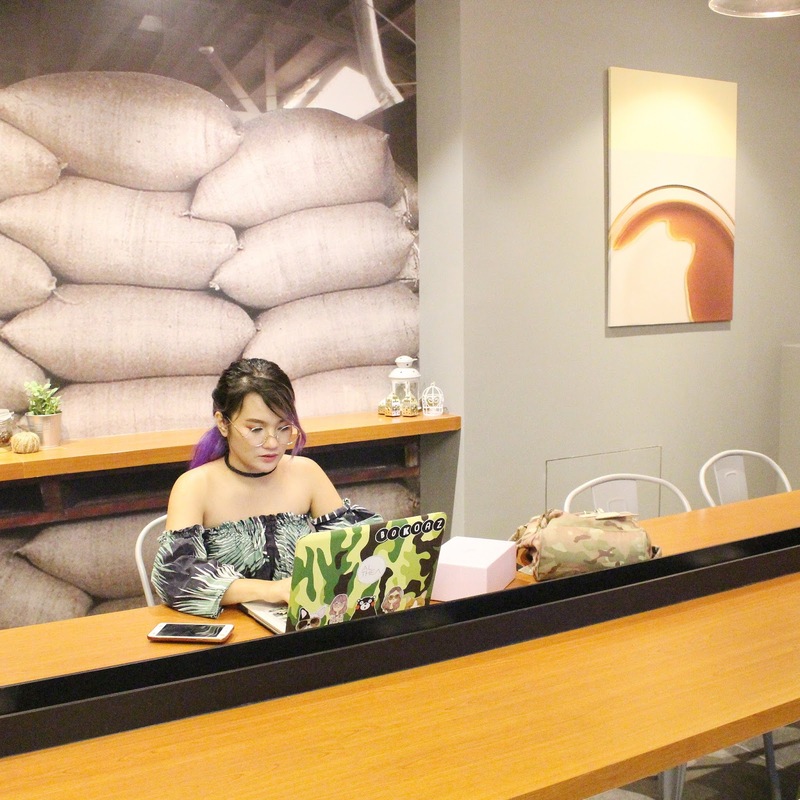 dappnyaaa nak! hihi kann tengok makanan time time lapar lagi la heheheh but i love the new ultra violet range better!